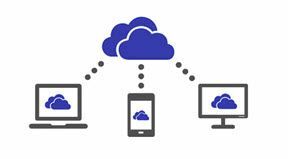 Microsoft to add music streaming to SkyDrive? A sneaky line of code in the SkyDrive HTML source suggests that Microsoft is planning to add music streaming through the cloud locker service. As well as the code, there's a leaked image of some player controls adding a bit of weight to the rumour – although these are fairly basic and could be easily forged. First spotted by a website called LiveSide, the code references a "MusicPlayer" and says that the player controls come from an internal testing version of SkyDrive. The site couldn't determine whether or not this SkyDrive streaming thing will integrate with or form part of Xbox Music. It seems likely to offer Microsoft customers an iTunes Match type situation whereby users sync their music collections to a cloud storage account and then stream their own music back from here, saving on storage space on their phones and tablets. Microsoft has already confirmed that Xbox Music will soon offer cloud storage that lets users add songs that they own from elsewhere that aren't available in the Xbox Music catalogue; hopefully this is all part and parcel of the same thing. No word on when we might see the update that sets this mysterious Music Player hit SkyDrive (or Xbox Music) but there's a chance we'll see it hit as part of Microsoft's CES 2013 announcements – fingers crossed.